⚔ ☢ Underjordisk amerikansk forskningsenhed og lager (slutdepot) for atomaffald som var beliggende i Nevada forsøgsområdet under Det amerikanske energiministerium, herunder dets Office of Civilian Radioactive Waste Management. 'Yucca Mountain er blevet valgt som stedet for ministeriets geologiske opbevaringssted designet til at opbevare og bortskaffe brugt nukleart brændsel og højradioaktivt affald. Når det er konstrueret, vil stedet blive landets første geologiske depot for bortskaffelse af denne type af radioaktivt affald' meddeler ministeriet i Yucca Mountain: The Most Studied Real Estate on the Planet. Anlægget blev opgivet i 2010. Se også: Atomaffald ; The Blue Ribbon Commission on America’s Nuclear Future ; Nevada Nuclear Waste Task Force ; Nuclear Regulatory Commission. GAO: Nuclear Waste: Benefits and Costs Should Be Better Understood Before DOE Commits to a Separate Repository for Defense Waste, 2017. DOE planned for decades to store defense and commercial nuclear waste in a single repository in Yucca Mountain, Nevada. However, it terminated this plan in 2010 and, in 2015, the President accepted DOE’s recommendation to develop separate repositories—one primarily for defense waste and another for commercial waste—citing various benefits, including cost efficiencies. But we found that DOE's cost-benefit analysis of the two repositories was unreliable because it didn't account for billions of dollars in significant costs. We recommended that DOE redo its analysis to comprehensively assess the costs and benefits of having two repositories. GAO: Commercial Nuclear Waste: Resuming Licensing of the Yucca Mountain Repository Would Require Rebuilding Capacity at DOE and NRC, Among Other Key Steps, 2017. 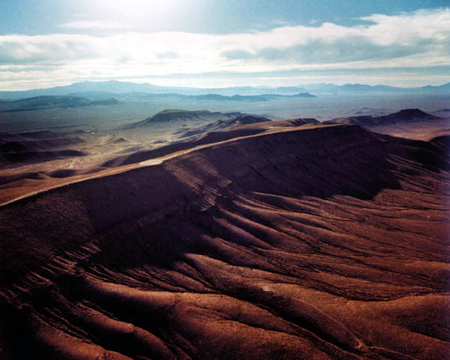 Between 1983, when the NWPA became law, and 2008, when DOE submitted its license application for Yucca Mountain, DOE spent nearly $15 billion to investigate developing a repository.13 Most of DOE’s and NRC’s expenditures related to Yucca Mountain have come from appropriations to DOE and NRC from the Nuclear Waste Fund. This fund was established under the NWPA as a mechanism for commercial generators of spent nuclear fuel—and, ultimately, ratepayers—to pay their share of the cost for the permanent geologic repository. GAO: DOE Nuclear Waste : Better Information Needed on Waste Storage at DOE Sites as a Result of Yucca Mountain Shutdown. 2011. - 40 s.
Yucca Mountain: The Most Studied Real Estate on the Planet : Report to the Chairman, Senator James M. Inhofe U.S. Senate Committee on Environment and Public Works, Majority Staff, March 2006. - 25 s.